(CNN) - Indian authorities have warned citizens they are facing five days of isolated thunderstorms and high winds, after dangerous weather left more than 114 people dead across northern parts of the country. Hemant Gera, an official with the Rajasthan disaster management and relief department, said a yellow-category warning had been issued for the state for the next five days. Yellow means "be aware," if the warning is raised to red or orange, then residents need to take action to protect themselves. Uttar Pradesh relief commissioner Sanjay Kumar told CNN affiliate News 18, "today and tomorrow in some parts of western Uttar Pradesh, we are expecting thunderstorms ... the authorities have been told to be on alert (for greater) loss of life so that they can respond." "From the state level we are monitoring and we are trying to get satellite imagery data also to alert, and disseminate information to the villages," he added. "I think this is one of the most disastrous [storms] in recent times, as far as Uttar Pradesh is concerned." 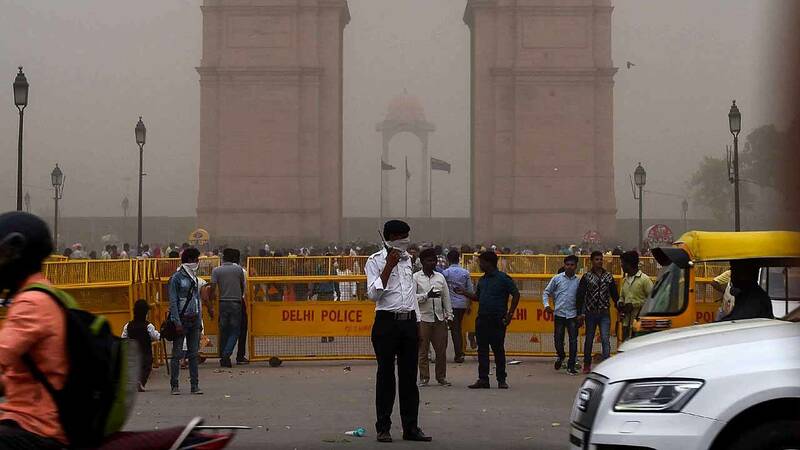 JP Gupta, director at India Meteorological Department Lucknow, said most of Uttar Pradesh will be "clear of any dust storms." "What happened on May 2, that's not expected for now at least for the next three, four days," said Gupta, who described the previous storm as a convergence of unique factors, including strong easterly winds from the Bay of Bengal interacting with an area of low pressure. Many of the deaths occurred as a result of falling debris and collapsing walls. "When the storm came, the walls of the upper floor fell down onto the first floor," Ramesh Mistri, who lives in Jhunjhunu district in India's western state of Rajasthan, told News 18. Mistri was injured when the wall fell. "There were seven of us sitting in the house and everyone got crushed by the walls," he added. Pura Ram, another Rajasthan resident, told the broadcaster, "first the walls from the upper level fell down. Along with that, our roof also fell down and broke into pieces." According to News 18, no warnings of "severe thunderstorm activity" were issued for Uttar Pradesh and Rajasthan before the storms hit, even though they were in place for other states. Other weather warnings were issued which covered northern India. He advised people in affected areas to "stay alert of changing weather conditions, avoid sleeping unprotected outdoors, and prepare to get to higher ground in the event of heavy rain." "Unfortunately the majority of fatalities from this past week were in rural areas where (a) knowledge of threats is limited; and (b) shelter options are few," he said.